Our Country Chronicles: It's All About Color Coordination. . .
. . .or lack there of. 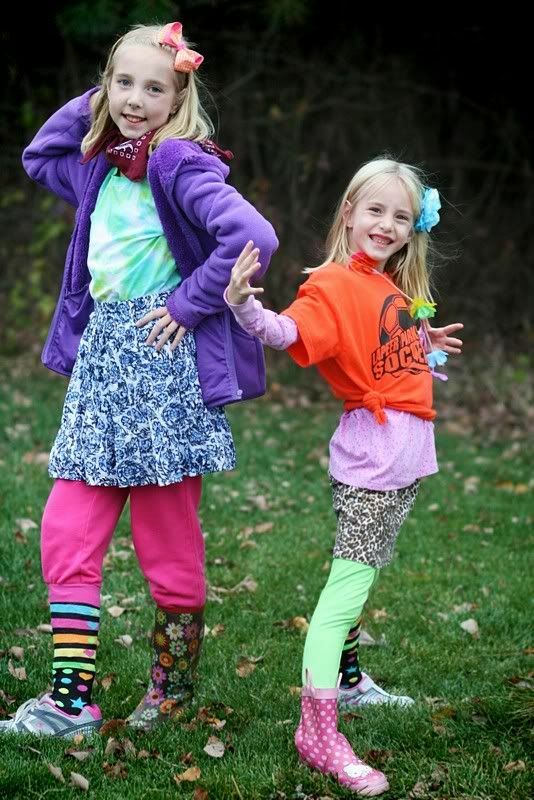 Tonight is Mix Matched Night at AWANA. Do you think they sufficiently clash? While I was outside taking pictures, a UPS truck started to lumber up our driveway. Tara and Madeline screamed and ran into the woods so he wouldn't see how hideous they looked. Silly girls!! Although. . .it does take me back to a time this past summer when I wanted to scream and run into the woods. You can read about that HERE. ✿◠‿◠ Thank you Keri. They gave a prize to the "most" mix matched kid and both Tara and Madeline were in the top 8, but they didn't win. They had fun though.